“Gog” and “Magog” have been identified as everything from The British Empire to the Soviet Union to Nazi Germany to U.S. capitalism to modern Russia to the European Common Market, and to God knows what else, by those who try to find a modern, or post modern, interpretation of Ezekiel’s prophecies. Unfortunately folks, all of those interpretations are wrong, as we shall see. Conversely, often events that are expected to occur in the future are expressed in the “perfect” tense which is usually interpreted as “past tense.” This tense-switching is accomplished linguistically by usually placing the conjunction WAW in front of the verb as a signal that the tense is being reversed. Therefore, many passages in the Bible that have been interpreted as being “prophetic,” are really historical in that they (the “prophets”) were recording events that have already occurred while couching these events in the “imperfect,” or “future” tense for literary impact. This “prophecy” was written after Nabu Na’id’s fall and was most likely commissioned by the conquering Persian authorities (i.e. Cyrus the Great). “Prophecies” such as these were used by the ruling powers as part of a propaganda effort to convince the populace that the events that have just transpired were sanctioned, or even mandated, by the Gods. The writers of the Bible, living in Babylonia as they were, could not help but have been influenced by the writing styles of those around them. As a matter of fact, the Jews in Babylonia, beginning in the mid-sixth century B.C. had schools, or what we would call “colleges,” that did nothing but teach scribes how to write in the “prophetic” tradition. In other words, these were creative writing classes where the students were taught specifically how to write what we today would call Science Fiction and Fantasy. The better efforts of these students of creative, speculative writing have ended up in our Bible among the books of the “Prophets.” For inspiration these students of creative writing not only turned to historic events and placed them in the “future,” but they also drew upon Babylonian and other mythologies, and most especially the fanciful art work on the walls of Babylon’s public buildings. Of all of these students of fanciful writings in the Babylonian “exile,” none were better than Ezekiel. His works were (and still are) literary masterpieces. For any modern day preacher who wants to preach “fire” and “brimstone,” there is no book in the Bible that can serve the purpose as well as Ezekiel. And no passage in Ezekiel can stir the fires as hotly as those against Gog and Magog. Gog and Magog are historical. They are not likely prophetic, or meant to be interpreted as some future nation or great power. The term “Gog” comes from the “Gogid” dynasty that ruled the country of Lydia in western Anatolia from 716 to 546 B.C. The founder of the dynasty was a man the Greeks called “Gyges” who ruled from 716 to 644 B.C. In Mesopotamian cuneiform his name was written as GU-GI, which we would pronounce as “Gog.” Gog’s descendants who ruled the country until 546 B.C. have thus been called (by historians) the “Gogid” dynasty. That is where Ezekiel got the idea for “Gog.” In the Semitic languages, the noun of place for GOG is MAGOG. So, “Magog,” is simply the place where this “Gogid” dynasty ruled (during Ezekiel’s time), i.e. Lydia in western Anatolia (called Turkey today). The people who “dwelt carelessly in the isles” are, of course, a reference to the Greek Ionians who lived on the islands in the Aegean Sea and were subject to the rule of Croesus, the last of the “Gogid” kings. Ezekiel included this reference to the isles purposely to reinforce the idea that this was Lydia he was talking about, and not some other fanciful place. As for the references to “Gog” and “Magog” controlling wealth and/or world trade, that is another reference confirming that Ezekiel meant Lydia under the rule of the last Gogid king Croesus. Before the Gogid dynasty of Lydia came along, western Anatolia was dominated by the Phrygians who controlled much of the former Hittite mineral-rich mountain areas as well as the Bosporus straits separating Europe from Anatolia and Asia. Assyrian sources say that one of the Phrygian kings was a certain “Mita” of the Mushki. This Mita of the Mushki started a dynasty that the Greeks termed “Midas,” meaning that their subsequent kings were all termed “Midas” (by the Greeks). Because of Phrygian control of Anatolian mines (Gold, Iron, and Tin), and their control of the straits, and thus all trade between the Black Sea and the Aegean and Mediterranean Seas, as well as between Europe and Asia, they became extremely wealthy. The wealth of the “Midas” kings gave rise to the saying “the Midas touch,” meaning that everything that king “Midas” touched, turned to gold. 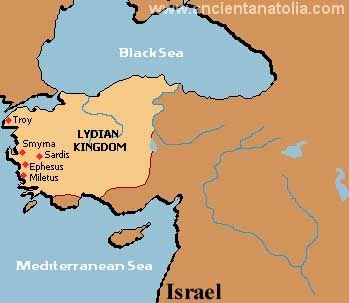 These Phrygian areas were then conquered by the Gogid Lydians in 620 B.C., so that by the time that Lydian king Croesus came along in 560-546 B.C., the Lydian Empire controlled all of western Anatolia (including the Gold, Tin, and Iron mines) and had a firm vice on the sea routes between the Black Sea and the Mediterranean, and the land routes between Europe and Asia. In addition they controlled all of the well-to-do and rising Greek mini-states in the Aegean and along the coast of mainland Greece as well. They were also challenging Phoenician dominance of the Mediterranean to boot. If that wasn’t enough, the Lydians invented coinage in the late 7th century B.C., and their coins were used all over the civilized world, perhaps giving some the impression that they controlled world trade. Because of this, and because of the huge mountains of wealth that flowed into King Croesus’s coffers, the Greeks “coined” (excuse the pun) the term “as rich as Croesus.” And, all of this is the source of Ezekiel’s reference to Gog and Magog being controllers of world trade. 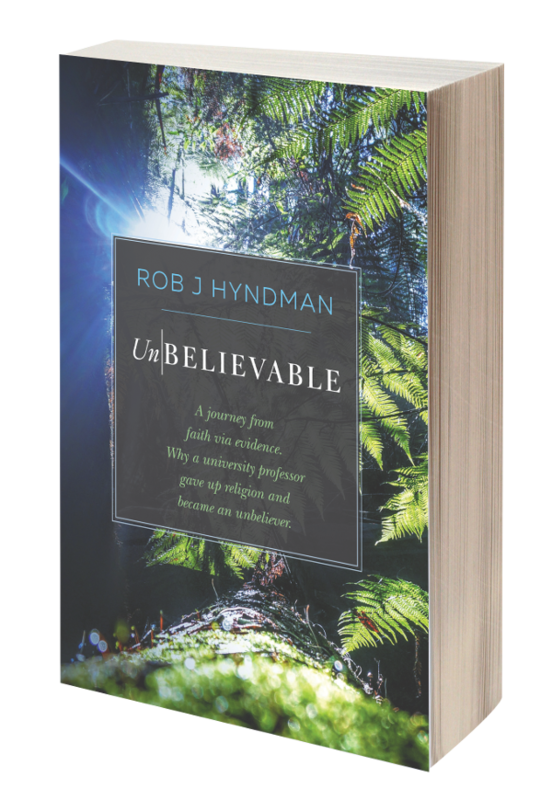 Some of the author's other interests, besides writing, the Middle East, and things ancient, include weight training, running, hiking, traveling, classical symphonies, big band and country-western music, College Football, and Mexican food--the hotter the better.